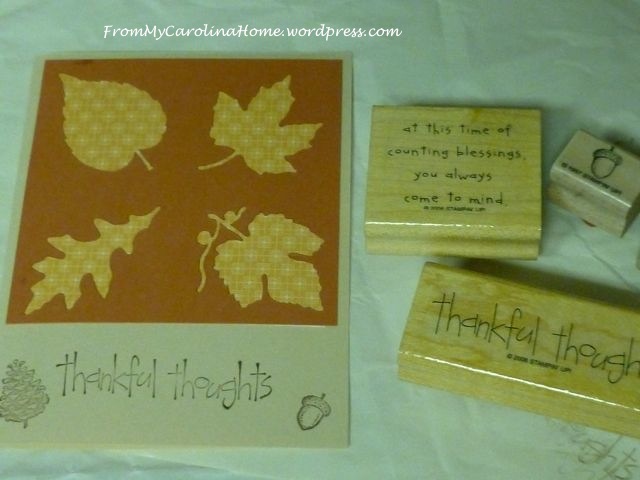 I had several stamping projects for the Thanksgiving holiday. 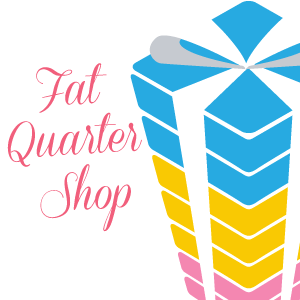 This is the best time of year to use all those beautiful fall colors of ribbons, and papers, and inks. 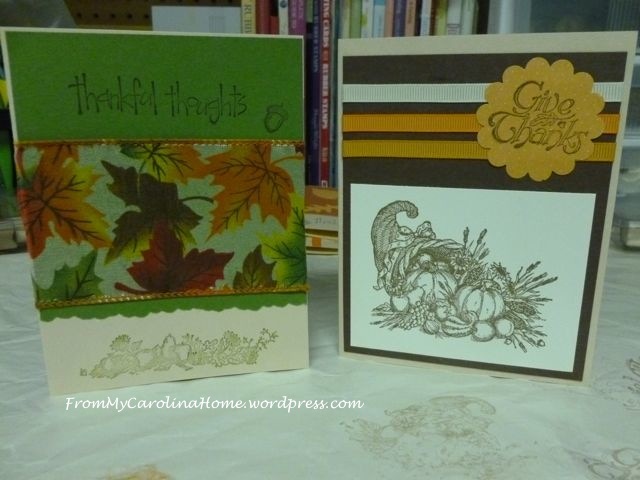 I wanted to make a couple of Thanksgiving cards to mail to family far away. 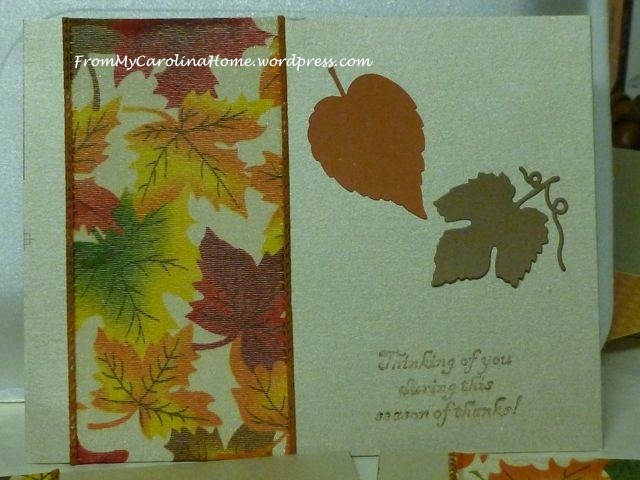 This one uses the cut out from the leaves, with a patterned paper behind. 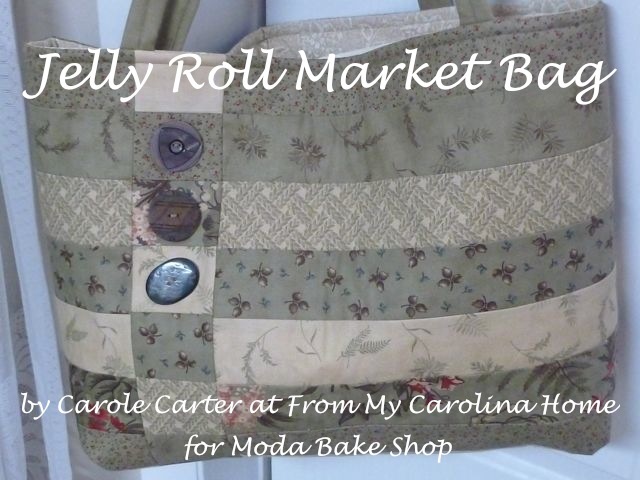 I love that little acorn stamp! 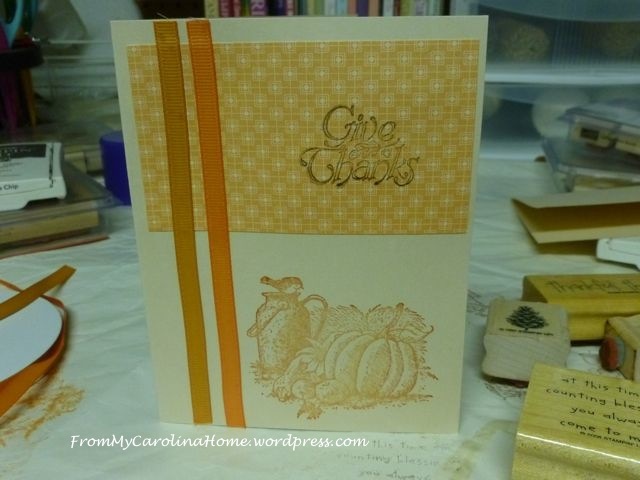 This one says Give Thanks, and has a lovely scene with a pumpkin, a bird sitting on a milk jug, and some fruit. I think my stamp pads are drying out, and they are getting a bit frayed. 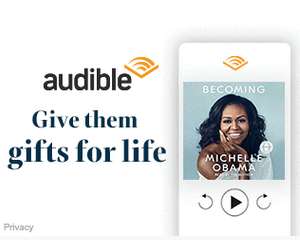 Santa, if you’re listening, I could use some new ones – (hint hint). 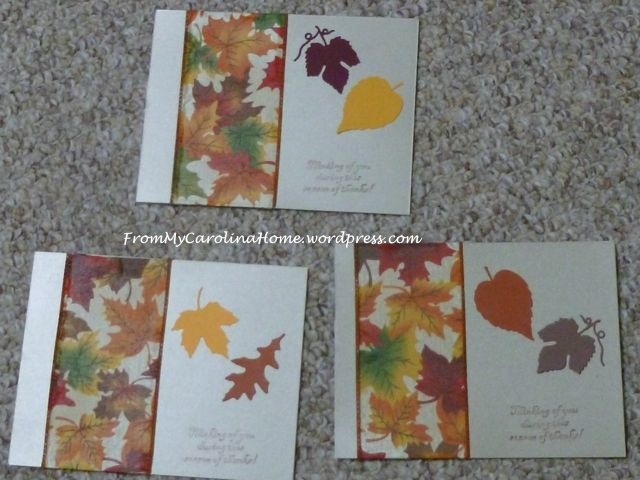 The green card on the left uses the leaf print ribbon, so pretty for autumn. It has a little iridescence to it. The one on the right was stamped with a brand new pad I got recently. That is what made me realize the others were getting a bit old. The cornucopia is much clearer on this card than the scene on the card above. 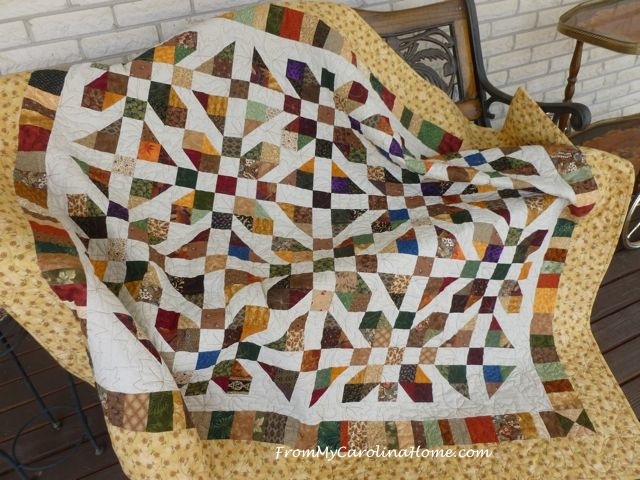 And this one says Thankful Thoughts, and I used a silk leaf for an embellishment. 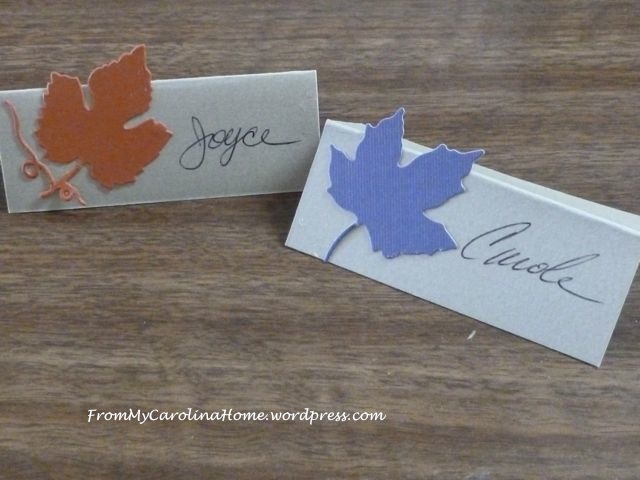 Then I made some place cards for our holiday table using cut-out leaves and gold card stock. 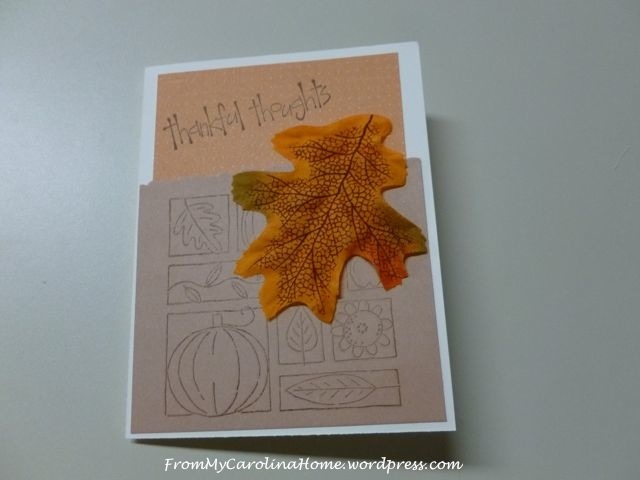 These postcard style cards went with the Autumn Candle Wreaths to our wonderful office staff. 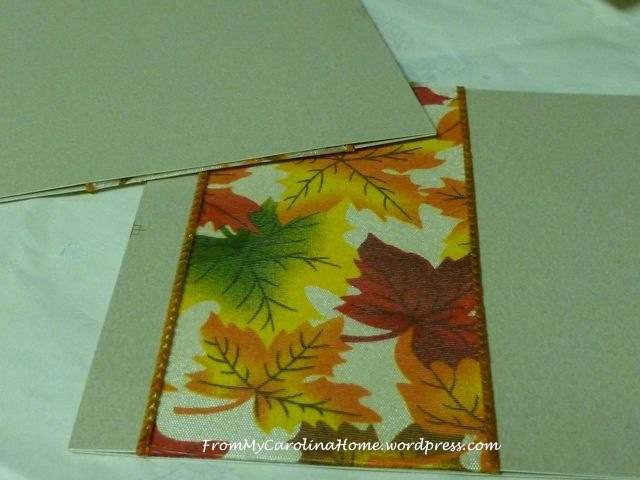 I started with the same tulle ribbon with fall leaves and gold card stock. I removed the wire in the edge so it was easier to glue down. I glued another card to the back to hide the raw edge. 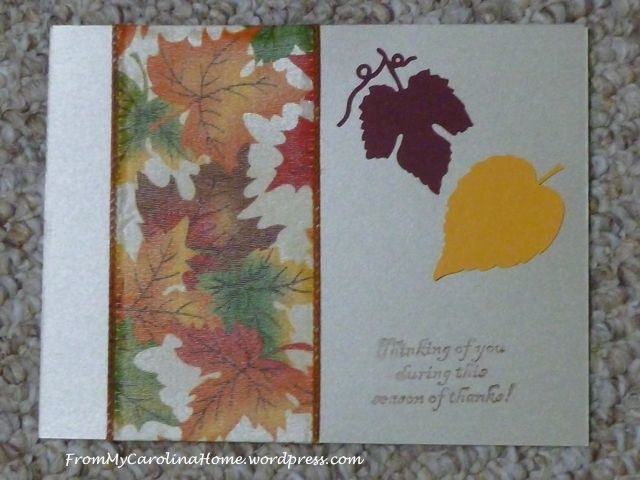 I added cut-out leaves and a Thinking of You stamp. Each one is a little different, because the leaves are different. 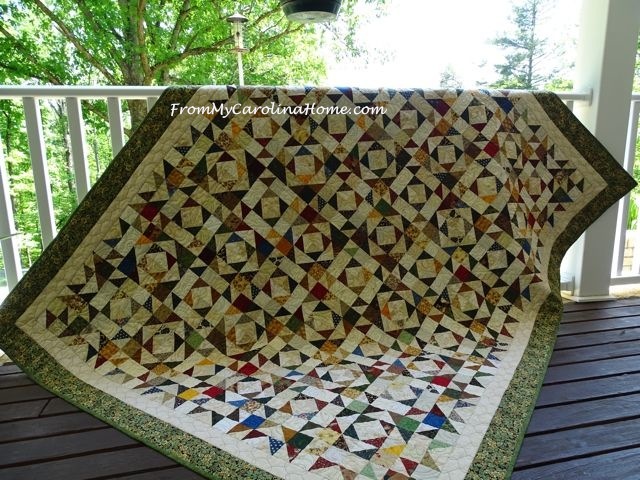 Done and in the mail, or gifted!! 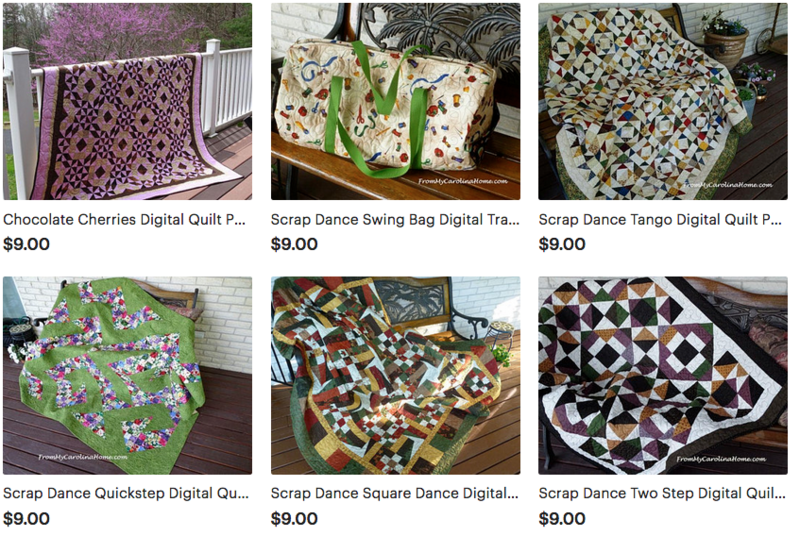 If you have current stampin’ up! Ink it is cheaper to buy ink refills than get new pads. Cute ribbon card. 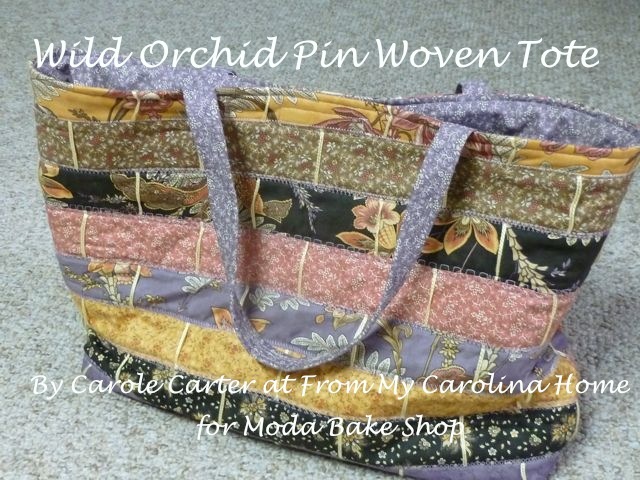 I think it is my favorite. 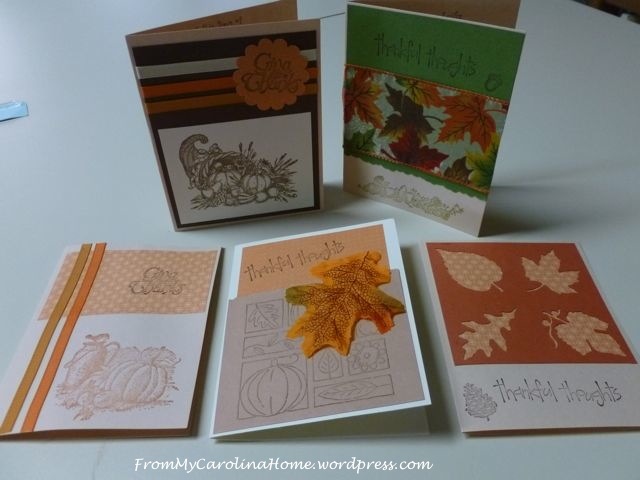 I love all the cards & I love Stamping! Spent the day yesterday Stamping Christmas Cards. Lots of fun! These are so pretty too!